NOTE: The next offering of this course will be announced in early 2019. First, you’ll learn what it means to be openhearted. The dictionary defines openhearted as “kind, loving, and honest.” I would expand that definition to include: “vulnerable, courageous, generous, trusting, inquiring, and authentic.” When you live with an open heart, you open yourself to love, pain, healing, grief, and every emotion there is. You let down your guard and dare to be vulnerable. You practise generosity and trust. And you tell the truth, even when it’s scary.  Then you’ll explore the WHAT, WHO, WHY, and HOW of openhearted writing. In Week 1, we’ll talk about the WHAT of openhearted writing. We’ll discover what it means to write from a place of vulnerability, courage and truthfulness. We’ll practice being truthful about both our fears and our desires. We’ll find out how reverence and love are part of our openhearted writing practices. In Week 2, we’ll talk about the WHY and WHO of openhearted writing. We’ll explore the ways that openhearted writing can help us heal ourselves and others, how it can help build resilience against shame, and how it can build deep connections with what matters most in our lives. We’ll also explore what it means to write from our wounds. And then we’ll discover the three people who want us to write with an open heart – ourselves, our muses, and our fellow travellers. 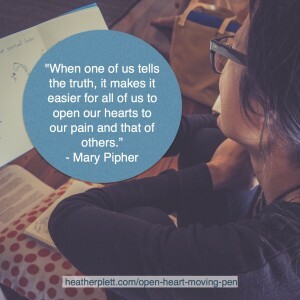 In Week 3, we’ll dive into the HOW of openhearted writing. We’ll discover how important practice is and how openhearted writing can be considered a spiritual practice. We’ll practice opening our hearts in new ways, and we’ll learn what to do with fear and resistance. We’ll also explore our own unique voices and we’ll figure out what those voices most want to say. We’ll end by talking about next steps in the writing process – ie. should we blog, publish, share with friends, or write solely for ourselves? 1. Three lessons: arriving by email once a week. At the beginning of the week, you’ll receive an email with the lesson for the week (on the above themes). The lesson will include writing prompts for you to practice what you’re learning in the lesson. Over the course of three weeks, you’ll receive 20 pages of handout (sent as emails, but also available as printable pdfs) with lots of inspiration, quotes from other teachers and writers, and links to other resources. Wednesdays (May 3, 10, 17) at 11 a.m. central. We’ll have an hour long live call where I’ll teach the basics of openhearted writing and you’ll have opportunity for questions/conversation and sharing of what you’ve written. I’ll also be accessible in between the calls, in a private Facebook group and on email. All of our conversations will be recorded in case you can’t make it and/or want to listen later. 3. A writing community: a private Facebook group. We’ll create an intimate writing community on Facebook where we can talk about the lessons, share our writing, and challenge and encourage each other in our writing. This is an encouragement space rather than a critique group. If you want feedback, you can ask for it, but if you simply want someone to witness your efforts and cheer you on, you can ask for that too. 4. Lots of writing practice: homework and writing prompts. There are journal prompts throughout the lessons which will help you explore your own open heart. At the end of each lesson, you’ll have a homework assignment to work on throughout the week. Your writing can be shared with other participants in the private Facebook group. This course is for anyone who writes, longs to write, or is curious about whether or not writing is for them. It’s for poetry writers, journal writers, memoir writers, essay writers, or blog writers. Whether you write in a journal or in major publications, you can benefit from practicing more openhearted writing. Openhearted writing is for personal healing, growth and positive change – whether for yourself or for others who read what you write. Even if you never share a single thing you write after this course, it could still be life-changing. ALSO: 5% of proceeds will be donated to Uganda Kitgum Education Foundation to help educate children so that they too can learn to write to change the world. Note: Paypal will automatically adjust the cost to your currency. $75 CAD is approximately $57 USD. Registration is now closed for the May session. The next offering will announced in early 2019.